Gertie Joslin of Edmonton passed away peacefully at the age of 105 years on April 10, 2017. She will be lovingly remembered by her daughters Pat and Gail (Walter); son Rodney (Gayle); son-in-law Bill; 16 grandchildren, 23 great grandchildren and 14 great-great grandchildren. Gertie was predeceased by her daughter Sharon; grandson Douglas and granddaughter Michelle Mucha. At the request of Gertie, no service will take place. 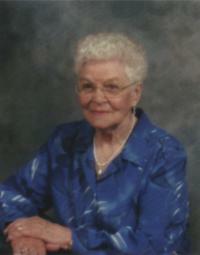 Memorial donations in memory of Gertie may be made to the The Salvation Army, 9618 - 101A Avenue NW, Edmonton, AB, T5H 0C7.